The SSR EX-C NEO were one of the most sought after JDM Wheels to hit stateside in the JDM Wheel craze of the late 80’s and early 90’s. 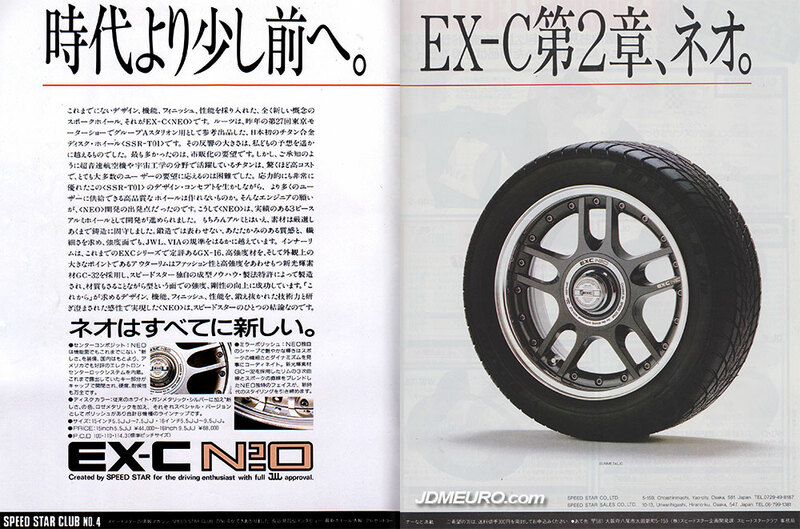 At the time, the SSR EX-C NEO were more popular than the SSR EX-C Fin and SSR EX-C Mesh, but right after the Racing Hart Super Fin which were also made by SSR. What all of the named wheels had in common was the SSR signature 2 piece construction with a face bolted on to a welded barrel fastened by 20 bolts; and also the theft deterrent Electron key system which requires a magnetic key to unlock the center caps. Unlike the SSR EX-C Fin and Mesh siblings, the SSR EX-C Neo had an additional coin on top of the main fitting which on the NEO’s which had a circular rubber grip as opposed to the hex style nut. 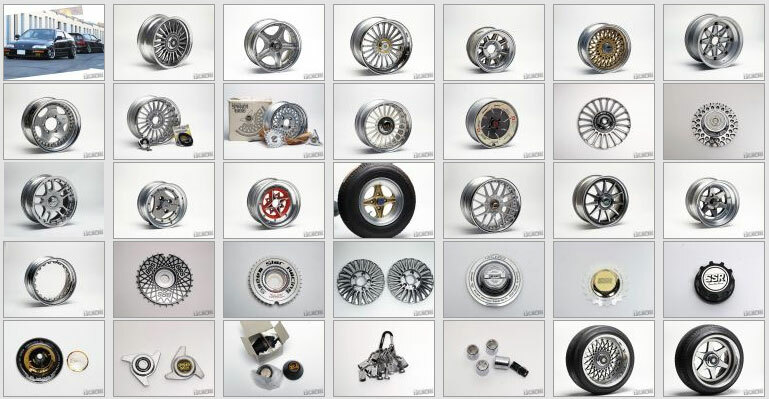 Finding a set of SSR NEO’s isn’t impossible, but I will consider them to be one of the top JDM Wheels of all time.